Kitchen hacks can make time spent in the kitchen much more organized and efficient. Because life is busy and every spare minute you can squeeze into the day is valuable. These genius ideas will have you marveling, “Why didn’t I think of that before?” Here are 18 handy kitchen hacks and tricks that will make life a lot easier when it comes to the one room we undeniably spend the most time in…the kitchen. 1. 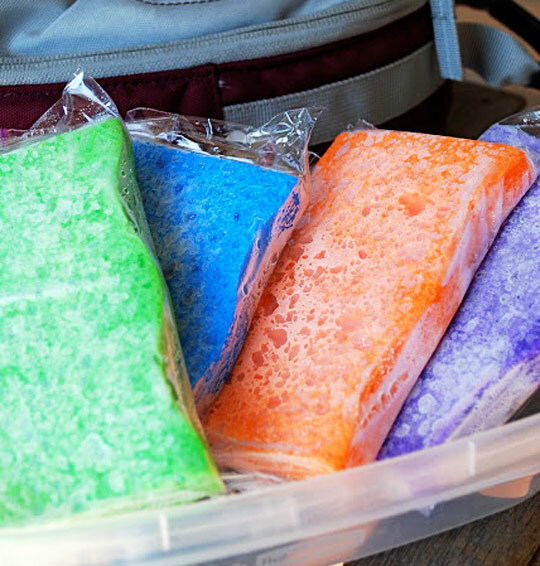 Use frozen sponges for cheap, convenient lunch box ice packs. Soak several sponges in water then seal them in separate Ziploc bags. Freeze, then pack them in lunch boxes for a quick, and inexpensive ice pack. The sponges will melt, soak up the water, and freeze over and over again! 2. Use cookie cutters to make neat cake decorations, or shaped eggs and pancakes. 3. 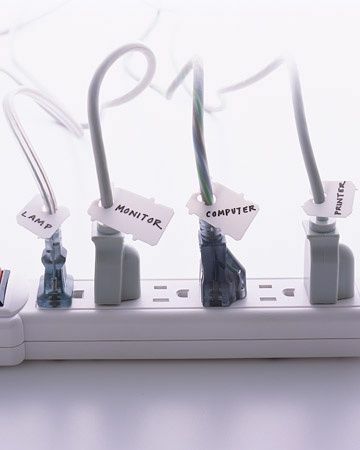 Use bread bag clips to label cords. Who would’ve thought? I’ll never be on my hands and knees, following a maze of chords again. 4. 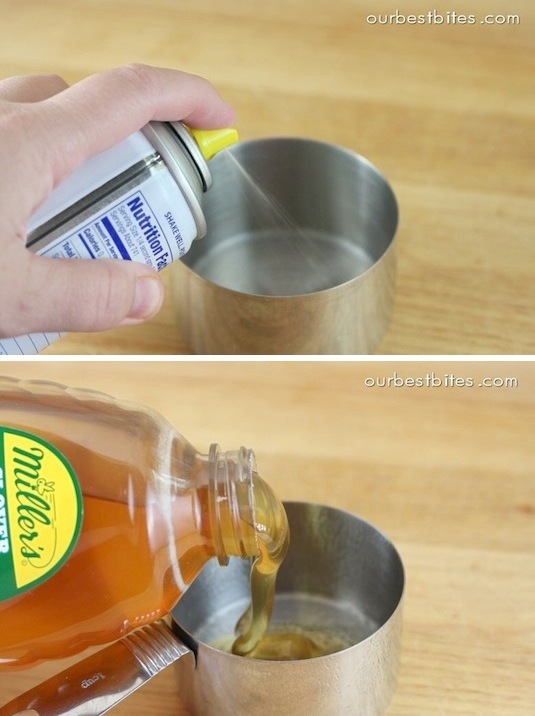 Coat measuring cups with nonstick spray before measuring sticky ingredients like honey, syrups, and peanut butter. 5. 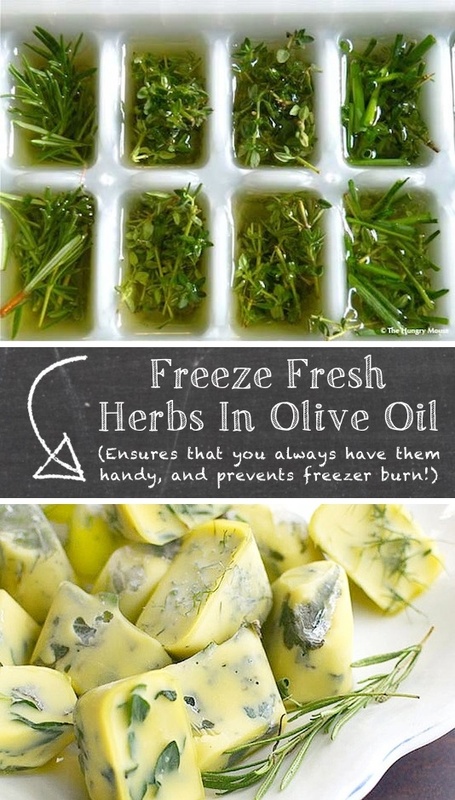 Freeze fresh herbs in olive oil, then freeze them for a quick, delicious addition to sauces and pasta. I hate buying an entire sprig of expensive herbs for only one recipe, so this is the perfect solution for that situation. Use this kitchen hack for your abundance of summer herbs, or your farmer’s market spree. 6. 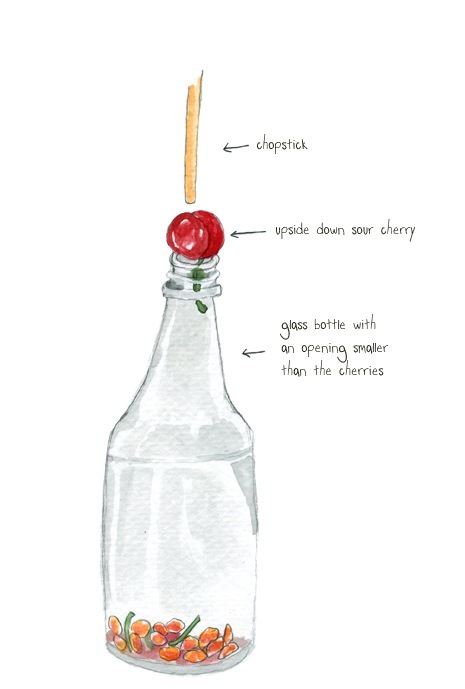 Pit cherries quickly and efficiently using a glass bottle and a firm straw or chopstick. A recent Facebook convo revealed this little beauty of a hack when it comes to pitting cherries. Our readers swear it works wonders! 7. 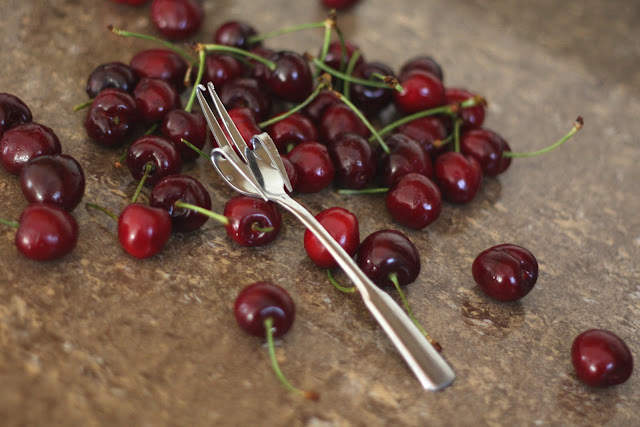 In addition, you can bend the two outside prongs of a fork for an inexpensive homemade cherry pitter. Read more here. Again, our Facebook readers suggested this great alternative to a cherry pitter when you’re in a pinch. 9. 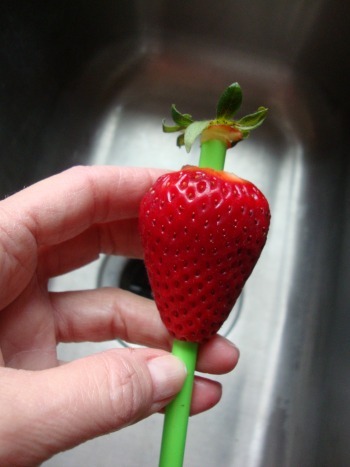 Remove the hull from strawberries with a firm straw. 10. Peel garlic the easy way. 11. Quickly cut potatoes with an apple slicer. 12. Two easy ways to peel hard boiled eggs without the mess and frustration. 1) Prick the large end each egg with a pushpin before boiling. Read more here. 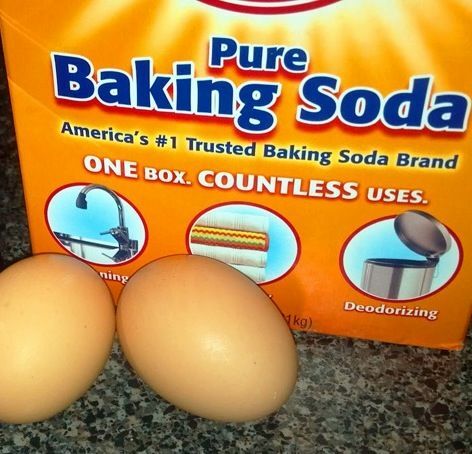 2) Adding 1/2 a teaspoon of baking soda to the water before you boil eggs makes them easier to peel. 13. Clean a crusty microwave with a soaked sponge (and sanitize a sponge this same way). Soak a sponge in water, then cook in microwave for one minute. Careful, it will be too hot to handle with bare hands. The moisture will loosen grime on your microwave thus make it easier to clean. To sanitize a yucky sponge, soak it in water and vinegar and microwave for one minute. 14. Convert creamer bottles into convenient snack dispensers. These would be great for traveling! 15. Keep floss in your kitchen for cutting cakes, soft cheeses, cinnamon rolls, and other soft foods. 16. 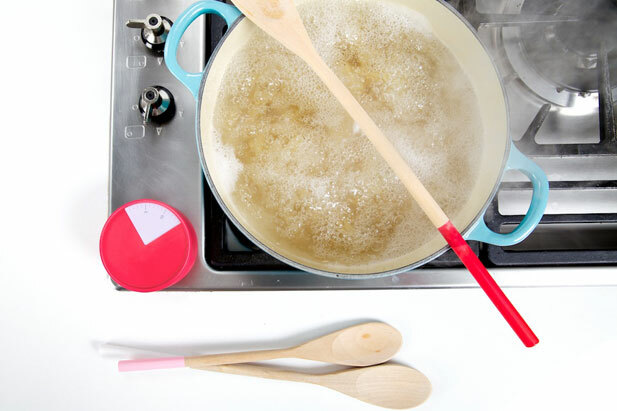 Use a wooden spoon to keep pots from boiling over and avoid a huge mess! Does it have to be wooden? All evidence points to yes. Call it an old wive’s tale, or culinary witchcraft, but for some reason, a wooden spoon will keep that pot from boiling over! 17. Use empty Tic Tac containers for spice storage. 18. 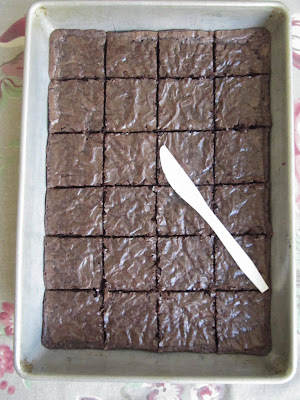 Use a PLASTIC knife to cut brownies neatly without sticking. Crazy, but it works! 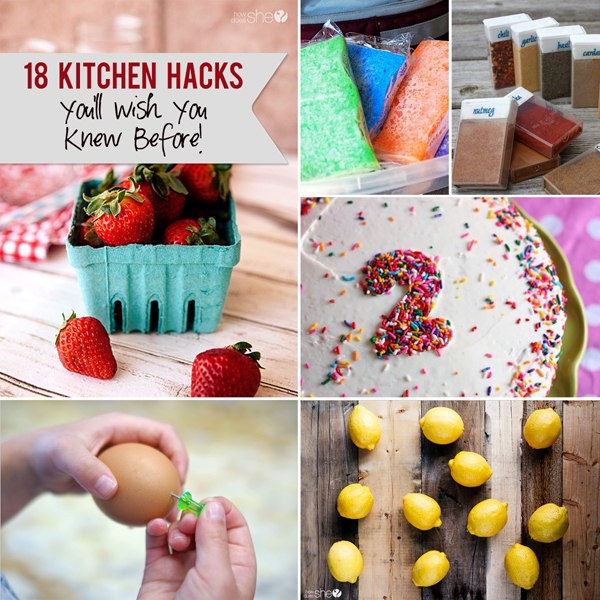 Hope these kitchen life hacks do wonders for you in the kitchen. If you’re looking for even more kitchen hacks, then check out our tips to organize your kitchen! Let us know of any other genius hacks you’ve got hidden up your sleeve! Want more hacks? 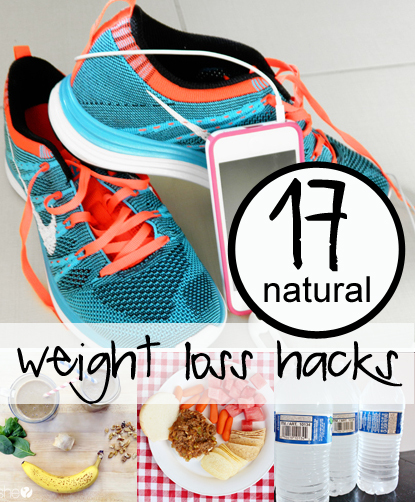 Check out 17 natural weight loss hacks. Here. 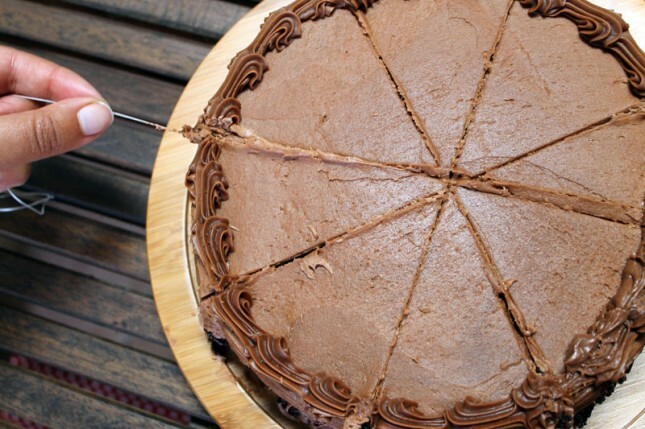 17 Cake Hacks- Peek-a-boo cakes that will make you smile. Here. I think this post just changed my life. Except don’t try to sanitize sponges at all. Whether you are boiling them, heating them in the microwave or putting them in the dishwasher, a new study just showed that using those methods only kills the bacteria that are weaker and more susceptible, leaving behind the stronger strains of bacteria that then just quickly recolonize. You are better off throwing your sponge away at the end of the week, or simply not using a sponge at all. I’ve been doing the “poke a hole in the egg’ trick for a while now and it is a beautiful thing! I’m definitely going to try the shaking trick to peel them- looks fun! Unfortunately, the wooden spoon trick didn’t work for me- I bought new wooden spoons and tried a few times, maybe I just fill the pot too full with water? I LOVE life hacks! ANY kind! But I’ve tried the wooden spoon idea at least 8 times and it has never worked for me. Adding butter to your water will prevent your pot from boiling over. I tried the wooden spoon trick once, and it failed miserably. The bubbles didn’t miraculously stop at the spoon, they just kept on going. I have found that leaving the spoon in the pot keeps it from boiling over. Laying it across does nothing. Agreed….leaving the spoon in the pot is the ticket! I didn’t have luck just putting the wooden spoon across the top of the pot. That was really cool! I have to test some of these ideas out with my family! Ok I just tried the “shaking egg” trick with 8 eggs. One kind of worked (I use that term loosely) and over half were actually cracked down the middle (the egg itself, not the shell). All of them had big chunks out of them and could definitely not be used for deviled eggs. Anybody else have any luck with it? I’d love to actually have my hard boiled eggs look good! Put boiled eggs in very cold water, then shake them to crack shells. Let set, or even change water to make it colder. After about five minutes, the eggs peel very well. Done this for years and always effective. Cold water cooling is a must. Also use Tic-Tac containers for toothpicks or hairpins. Use empty pill bottles for loose coins. 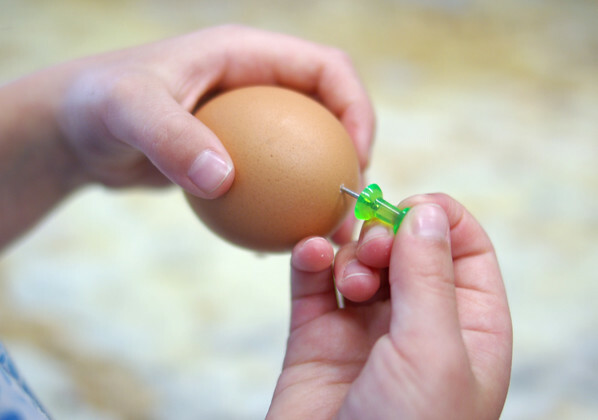 Thanks for sharing our pin-prick in a boiled egg trick! Glad we could help make a few people’s lives a little easier in the kitchen. it worked!!! I’ll be doing this from now on! A few drops of olive oil in water will stop pot from boiling over. I take as all amount of bleach, add a little water and pore over the sponge and then add the spong to your dish water. Sanitizes your sponge and your dishes. So many great little tips, some of them brand new to me! Thanks for sharing! Yeah, wooden spoon one is a myth. Doesn’t work. Vinegar works for so many kitchen hacks that my hubby makes fun of my 2 gallon a week habit. I use 1/4 cup of vinegar in every load in my dishwasher to prevent spots. Vinegar in your wash water practically eliminates heavy scrubbing–just let it soak for a few minutes and crusty stuff wipes right off. A few tablespoons of vinegar in with your hard boiled eggs also makes peeling a cinch. And, of course, soaking fruit in the sink with a bit of vinegar in the water washes it beautifully and helps prevent mold. Ha,! I just realized I said I use two gallons a week of vinegar…I only use two gallons a month. Use a metal spoon!!! Be sure to grab it with a towel when you are done because it will bd hott, but it works great! Another kitchen hack, whenever you have a stubborrn dirty pan, fill it with water and put a downy dryer sheet in it. Let sit over night and all the stuck on food will slide right off the next morning! The wooden spoon trick over a boiling pot of water has ALWAYS worked for me! I’m not sure why it hasn’t work for everyone commenting here, I’ve been doing it for quite awhile and have never had a mess to clean up. We’ve used the plastic knife with the hot brownies for years. It definitely works… not sure why but it does! I had known most of these before, but the cherry one just blew my mind, genius! Also shaking the eggs in the pot to get the shells off can be quite messy. Sometimes the shells come off nice and easy in big chunks and sometimes you get a million little pieces of shell. But since it is the fun method I can get my kids to help me do it most of the time. the wooden spoon trick doesn’t work. I have tried it numerous times. Use plastic knife to cut lettuce for a salad–lettuce won’t turn brown. LOVE THESE TIPS! Thank you for the great post! The only things to work for me when it comes to hard boiling eggs is a 13 minute boil and then putting the eggs in a bowl of ICE WATER for a couple hours in the fridge before peeling them. None of the stuff listed for the eggs has ever worked for me. On the wooden spoon trick-any spoon or utensil will work laid across the top of the pot. It works because as the bubbles get to the spoon they pop and do not continue over the side of the pot. As for peeling eggs if you use OLD eggs not fresh they will peel prettier. If you try to peel fresh eggs the egg white will come off in chunks with the shell. Bring the old eggs to a boil (with just a little bit of vinegar in the water) and then turn off the heat. Set the timer for 15 min and let tithe eggs keep cooking in the hot water. Drain them and then crack them before running them under cold water (by shaking them vigorously in the pan). When you run the cracked eggs under cold water now the water will help loosen the shells. Protect your plastic storage containers from staining (e.g. tomato sauce) by coating the inside of the container with non-stick spray before filling it. DO NOT heat the product in the container, and wash immediately after emptying. I haven’t had to toss a container due to stains in years. What about the lemons in photo?